Here are 12 claims about honor cultures from Honor Bound: How a Cultural Ideal Has Shaped the American Psyche (Oxford University Press, 2016) by Ryan Brown, professor of social psychology at the University of Oklahoma. In honor cultures, “men are hyper sensitive to threats to their masculinity, and these threats can provoke extreme reactions designed to restore a man’s honor” (32–33). “People from honor states [i.e., primarily southern states in the U.S.] were more tolerant of abuse” (52). “In an honor culture, a woman who stays loyal [to her abusive husband] in the face of jealousy-induced violence is considered strong and good” (53). “Enduring feelings of intimacy are not likely to be fostered by the typical honor culture” (66). “Honor cultures tend to be full of heavily armed people” (66). “Life in an honor culture is truly replete with social and existential burdens.” So depression levels are “modestly, but significantly higher in honor states than in non-honor states” (70–71). Honor states exhibit a “reluctance to invest in mental health services” (74). “Reckless behavior leads people living in honor states (especially men) to their deaths at unusually high rates. ‘Hey, y’all! Watch this!’ is their battle cry” (87). Behaving badly, taunting, hitting after the play, and tackling to injure are “more prominent in [football] teams filled with players from honor states” (120). Men who endorse an ideology of honor are “more willing to support a policy of preemptive strikes and even nuclear retaliation” (123). The honor syndrome is linked with xenophobia (125). Did you notice a common thread? All 12 claims were negative. I believe this reflects an ideological bias against honor cultures. Honor Bound is a sociological analysis of honor cultures’ darker sides, an engaging exposé of the warts and flaws of Southern culture. Though insightful, this book’s anti-honor cultural biases is concerning. This post is an extended critique of Honor Bound, followed by a rebuttal from the author himself (FYI, Ryan Brown’s response is the best part!). Honor Bound portrays honor cultures as dominated by male violence. The “common honor themes” according to Brown’s pre-research characterization are: domestic abuse, revenge for an insult, reputation, moral justification for violence. “Honor cultures,” by his definition, “are human societies that put excessive emphasis on the defense of reputation.” This violent perception of honor cultures frames his research methodology and canonizes the worst stereotypes of honor cultures. Brown lays bare his anti-honor sentiment in the final pages of the book—honor cultures are morally inferior and must be replaced. He suggests we find “an alternative to honor culture” (184). (With little surprise, he proposed the Western, Enlightenment-based values of a “dignity culture” to replace honor cultures.) Brown confesses his disdain for honor in the book’s final paragraph. To distance his own sons from honor ideology, he says, “I try to remember to mock instances of behavior deriving from the honor syndrome, in others or in myself, in front of my sons.” This call to “transcend the shallow, reputation-oriented ideals of the honor syndrome” (188) is concerning. To be clear: this book is not fallacious. (I actually think all twelve of the above statements are true. There are indeed many negative aspects of honor cultures as there are negative aspects of all cultures.) Rather Honor Bound offers a limited and incomplete picture of honor cultures. The author’s description of bad 30% of the pie is excellent; it’s the missing 70% that concerns me. 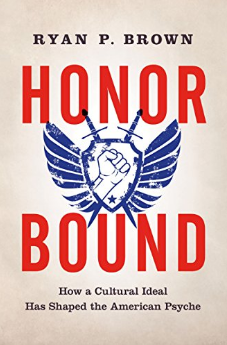 Honor Bound does note a few positive features of honor cultures, but those are raised as foils to further discredit honor cultures; for example, southern politeness “seems to be a rather thin veneer of virtue on top of a bubbling cauldron of macho wrath” (182). Also, honor-oriented states have fewer nursing homes “because people are honor bound to provide for their aging parents.” That tendency may sound good, but he points out the dark side—the parents’ honor ideology enhances their sense of burdensomeness and causes a higher suicide rate. I read only one unqualified positive feature of honor cultures—bravery during battle (90–92). The rest of the book is filled with stories and sociological studies explaining the deleterious effects of the “honor syndrome.” Honor cultures “produce shame, hypervigilence to insult, and gross overreactions” (185). A real man doesn’t let other people push him around. A man has the right to act with physical aggression toward another man who calls him an insulting name. A real man will never back down from a fight. A good woman stands by her man at all times. This methodology becomes a self-fulfilling prophecy. The survey identifies people who affirm negative moral qualities, and then projects upon them the “honor” label.. (The psychological research of Tangney makes the same error, and cross-cultural psychologists have exposed her cultural biases.) Brown preloads the concept of “honor culture” with negative assumptions and projections. This biased definition of “honor culture” leads Brown to find many negative features about honor cultures in the data. Here is an example: Brown says that men who scored high on measure of honor ideology were “most offended by insults and most likely to react aggressively to insults” (175), but the very questions on the measure that defined someone’s honor ideology are about aggression to insults. A person who is loyalty to their family has moral integrity. People should show politeness and respect to strangers. Real men protect women from danger. To measure the degree of hospitality in southern cultures, how many tea sets are sold per capita in honor states verses non-honor states? How do honor values impact a man’s family commitment, as measured by how often fathers in honor states take their children camping at state parks? How healthy is the diet in honor states, as measured by the amount of self-caught fresh fish people eat for dinner? Yes, these hypothetical questions are slanted to reveal positive elements of honor cultures; that’s the point. As a research sociologist, Brown does “take the facts as they are” (182), but the facts he takes are pre-selected by his cultural values against honor. While his analysis of the data passes the academic standards of the objectivity, the questions he brings to the data seem predisposed to negative conclusions. Why do I post this critique of Honor Bound? Am I just another crotchety ideologue guarding his turf and thus making myself another data point for the study of honor retaliation? No, the stakes are far grander than my personal interests. Ryan Brown condemns the 70+% of the world characterized as honor cultures. The negative stereotypes of southern honor cultures are projected onto all honor cultures in the world. 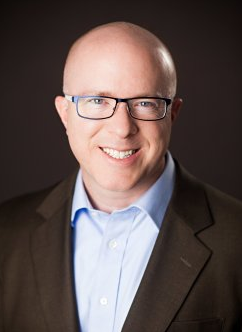 He claims, “Understanding the cultural dynamics of honor in the United States can provide a better basis for a better understanding of more extreme honor cultures across the globe” (xv). Brown takes his anti-honor bias global in Chapter 8 with a discussion of gender abuse and youth marriage in Afghanistan and Yemen. Yes, gender inequality in Afghanistan and Yemen is certainly deplorable. But it is unfair to make the story of a nine-year-old forced into marriage a defining image of honor cultures. It’s like placing a label saying, “This is Africa” on a picture of a starving child with flies on his face. Brown picks the worst of the worst to represent honor cultures around the world; “. . . I think that Afghanistan represents the most extreme honor culture in the world” (158). Instead of Afghanistan, why not pick the cultures of Korea, Kenya, or Italy? These countries have employed honor to construct admirable cultures. And even if you choose Afghanistan and Yemen as representatives, why not highlight the many other dimensions to their honor culture—hospitality, loyalty, bravery, or family? There are positive dimensions of honor-shame cultures (though Western culture often misinterprets them) that Brown could have promoted, but didn’t. Projecting Brown’s conclusions about Southern honor onto all cultures leads to dangerous distortions of those cultures. As someone involved in Christian ministry and social enterprises within honor cultures internationally for twelve years, I have witnessed the perils of misrepresenting, rejecting, and dismissing honor cultures. Assuming a derogatory view of honor cultures destroys trust and demeans people. Western Christians, with the same cultural outlook as Honor Bound, unbiblically assume that Majority World cultures must discard their honor culture and adopt Western socio-moral systems to genuinely express the Christian faith. On a political level, Western governments continue to misread international affairs (e.g., Russia’s incursion into Ukraine, China’s antics in the South China Sea, the rise of ISIS, the nuclear ambitions of Iran, the decay in Afghanistan, the factions in Iraq, the defiance of North Korea) because they look upon them through the same anti-honor cultural lens. Dismissing honor cultures has perilous consequences and amounts to cultural imperialism, even when glazed with sociological justification. I agree with Brown’s admonition: “[U]nderstanding honor cultures around the world is a moral imperative” (xv). I entirely agree, so I invite Brown to research positive dimensions and to present a complete portrayal of honor cultures. Perhaps his next book could be called, Honor Unleashed: How a Moral Virtue Leads to Harmony and Flourishing! Honor Bound is fun to read. Brown fills the pages will humor, personal remarks, and great stories (though some of the stories run 2-3 pages too long). The book is entertaining and engaging, a commendable achievement for an academic study. Honor Bound provides fascinating analysis (even despite cultural assumptions). Brown’s explanations highlight a growing awareness of honor in American life. I appreciated many ah-ha moments: (1) honor violence is not caused by religious devotion or Islam (155). (2) “The story of human civilizations throughout history is the story of people bound by the honor syndrome” (167). (3) How college football fans function as an honor circle (114–17). Honor Bound reflects standard thinking about honor cultures. Brown continues a long tradition among Western thinkers: honor cultures are morally degenerate and need to be replaced. As philosopher Margaret Visser commented, “The civilizations of the West have striven hard and consciously for two thousand years and more to liberate themselves from the thrall of honour and shame.” Even S. Lewis disdained honor. Brown’s anti-honor assumptions are not exceptional; they are the norm. People like what Brown proposes. This agreement introduces the greatest value of Honor Bound. I recommend this book not because of what it reveals about honor cultures, but because it reveals our assumptions about honor cultures. This book mirrors the Western cultural bias against non-Western, honor-shame cultures. Perhaps you’ll see your own reflection in this book and begin to untangle your personal disposition towards honor cultures. Understanding the cultures we live and work in is crucial to living and working effectively in them. We can choose to be passive and asleep as we go about our lives, or we can be active and awake. Although this is broadly true, there is yet another piece to this truth for us as Christians. We have a responsibility to be awake to the subtle power of sin and brokenness, whether in culture or in ourselves. But that awareness means that we face a problem in critiquing others or the world around us, insofar as we realize that our ability to critique anything is itself distorted by our own fallen, broken nature. We realize that we do not see anything—even ourselves—with perfect clarity, but we nonetheless commit ourselves to seeking the truth to the best of our ability, and doing so with humility. For me, what this means is that I have to do my best to follow the trail of data when it comes to things like honor cultures (or any culture), and to expose both the good and the bad when I find it. I’ve lived almost my entire life in honor-oriented states in the U.S., which does not mean I have an unbiased perspective by any means—no one does—it simply means that I am not operating as an outsider looking in. Indeed, my desire to show the positive sides of my own culture have led me to look earnestly for evidence of the positive. Unfortunately, the negative is all too frequent, and the implications of the negative aspects of honor ideology are extremely meaningful (e.g., homicide, suicide, domestic abuse). So, I don’t think anyone is wrong to mention loyalty, hospitality, and commitment to family as features of honor cultures. I mention those as well in my book. However, even these positive features have a flip side (which can also be true of some negative features!). For instance, loyalty is a virtue, but it can also be unhealthy, as in the case of a woman who out of loyalty stays with an abusive husband (in extreme honor cultures, she is legally forced to do so). This same loyalty can cause family members to look the other way when they all know that something terrible is happening behind closed doors, a dynamic that can also occur in work places, such as among police officers, military units, or church staff. We’ve seen far too many instances of horrendous institutional cover-ups related to sexual abuse in recent years to ignore this ugly side of loyalty, haven’t we? I believe it is incumbent on us to expose such things, whether we feel comfortable doing it or not. The truth about sometimes hidden cultural norms can set us free from being chained to those norms. In this freedom, we are able to hold our cultural norms up to the light of day (or, for Christians, the light of Scripture) and ask what we need to keep, and what we need to discard. It is vitally important that we do so, if we are to fulfill the “cultural mandate” to exercise dominion over the earth. That dominion begins with ourselves and moves outwards to our families, communities, and then to the nations. For those of us living in honor-oriented cultures, we need to understand the downsides to our own cultural norms and not be overly enamored with what we might believe are the primary, positive facets of our culture (such as chivalry, or bravery). Perhaps most important of all, we must be careful that we do not inadvertently equate what seems familiar or “normal” with what is good or right. There’s nothing I enjoy more than learning something new, and that requires me to be open to people who disagree with me. I am grateful to Jayson Georges for engaging in this dialogue, allowing me to learn something new, and for caring about the truth. May we all be brave enough to seek the truth about ourselves and our cultures, wherever that search might take us. Final note: Read Jayson’s comment in the reply section below to learn about the backstory of this interaction, and how we actually hold the same views of honor(-shame) cultures. ISIS – Terrorizing or Shaming? A few weeks ago I emailed Ryan Brown to say I was preparing to post a critical review of his book. His response was exceedingly graceful and triggered a profitable email exchange, which has led me to this conclusion about WHY we have different views of honor cultures. Ryan and I have different interlocutors (conversation partners). Ryan addresses people who see honor cultures as God’s culture; I’m talking with people who see honor cultures as from the devil. Ryan interacts mostly with people from within American honor cultures who assume honor cultures are nothing but positive. So he highlights the broken and fallen aspects of that culture to people who are too close to critique their own culture. I on the other hand, mostly engage with Westerners who live in honor-shame cultures. Their outsider view of HS cultures is very disparaging. They are unable to understand honor-shame cultures, so begin condemning it all as “sinful.” This keeps them from seeing obvious honor-shame dynamics in the Bible and from redemptively engaging honor-shame aspects of the cultures. We both think there is good and bad in honor cultures, as in all cultures. And we’re both trying to bring them towards the same balanced perspective for the purpose of meaningful engagement, but our conversations are starting at opposite ends of the spectrum. That, in broad outlines, is what I see happening in our thinking. This proves the one, immutable rule that is always true everywhere for everything—context matters! Bravo Jayson and bravo Ryan. Thanks to you both for your research and effective communication. I’m from Wisconsin, which like most northern states, is low on the honor continuum, and I serve in Haiti which has a strong honor sensitivity. It took over five years for me to start seeing and appreciating the positive elements of Haitian honor consciousness and Jayson, your work helped me a lot in this journey. Your work is vital for Christ’s cross-cultural workers! “context matters!” Absolutely. Well done, both of you, for an engaging and profitable conversation. Thanks Sean and Chris. It was indeed great to engage such a conversation. I feel like the last 4 of the 12 facts border on the ridiculous, or that the author only has the Southern states or redneck culture in mind. What about Japan? No weapons for the last four hundred years, but they are about as honor-bound as it gets. “On a political level, Western governments continue to misread international affairs (e.g., Russia’s incursion into Ukraine, China’s antics in the South China Sea, the rise of ISIS, the nuclear ambitions of Iran, the decay in Afghanistan, the factions in Iraq, the defiance of North Korea) because they look upon them through the same anti-honor cultural lens.” I’d like to hear more about this! Daniel, About the last four…Dr. Brown wrote those with a tongue-in-check style (that is what makes the book fun to read, it’s not all stale research findings). So they must be taken with a grain of salt, thought that doesn’t mean they are false. And yes, his research is focused on “honor states” in the US, which are mostly southern. I loved this post. Exactly what gracious dialogue should look like. Thank you. Yes, the gracious and civil dialogue that resulted is good and refreshing; no question. Regarding two sides of H/S (positive/negative): Ryan says he knows there are positive aspects to H/S cultures, yet he decided to focus on the dark side of even those, because they so often recur. This reminds me of C.S. Lewis’s observation (in Screwtape and other writings) that human faults are necessarily mirror-images or distortions of our strengths. God gives us good raw material, he says, and our faults, sins, etc., are the outcome of us misusing those gifts. The greater our gifts, the more heinous our potential evil: the closer to holiness we are, the greater our capacity for evil becomes (as Lucifer, for example, is the most evil…and yet no one has been closer to absolute holiness than he). This is a key reason I would enjoy reading of the positive attributes of H/S. Thanks to Jayson for his thorough review, and comment about different contexts. That helps me see potential value in the book…applying to a more narrow geographical and cultural context than I normally consider. So – not having read it yet – it seems the title may promise a broader application than the book explores? The book would seem to mostly be relevant for someone studying the narrow subject of “the negative effects of H/S cultural expressions in the American South,” yet the title suggests it applies nationwide, and collectively: to “the American psyche”. The Southern American manifestation of H/S is a subject worth studying, and I may check it out someday, but thanks to this review and author response, I know it’s limitation. Thank you to both Jayson and Ryan. Thank you both for this interaction and the linked resources. The H/S discussion is a part of a wider discussion of the prioritization of affective domain pairs: shame/honor, guilt/justice-innocence, fear/power, and, perhaps, pain/pleasure. These are things that we strongly try to avoid vs strongly try to gain. The priority order given to these will vary from culture to culture and they have been used by many as distinguishing features of cultures – typically, S/H for Latin, Middle Eastern and Asian cultures (though the Asian version has a different flavor), G/J for the Christianity affected West, F/P for animistic cultures and P/P for postmodern youth cultures. These are oversimplifications of course but interesting just the same. Both the positive and the negative sides of all 4 may be found in the first chapters of Genesis, the story of Israel, the Gospels (and the Gospel), the story of the church and in the book of Revelation. In my own research I found that the key to each of the pairs was relationship – relationships within the family, etc. (S/H), with God (G/J), and with the spirit world/environment (F/P). I do not think much work has been done yet on the P/P pair of postmodern youth. As the relationship structures of our societies change we may therefore expect to find changes in the prioritisation given to each of the pairs. Geoff, thanks for the insights on this. I like your comment that ultimately each of these cultures are rooted in some sort of relationships. I would however say that GI cultures is better defined as a moral relationship with “conscience/laws.” (Bonhoeffer talks about this with great insight–http://honorshame.com/bonhoeffers-theology-of-shame/) People of all 3 cultures types seek a relationship with God, granted in different ways. To say that GI culture is about a relationship with God subtly implies that someone could not genuinely follow God/Jesus in other cultures, like an honor-shame cultures. And about pain/pleasure, I would agree that is the most viable candidate for a being a 4th culture type. More on this later! 3 Pings/Trackbacks for "12 Proven Facts about Honor Cultures"